The third anniversary of the heinous 26/11 assault on Mumbai, which coincides with the 10th anniversary of the 9/11 attacks and the attack on Parliament, is a stark reminder that despite efforts at the national, regional and international level, the spectre of terrorism continues to haunt India. At the national level, even three years after the horror of the Mumbai attacks, India’s capacity to detect and disrupt such plots remains appallingly inadequate. This was apparent when an abandoned 1,000-tonne merchant ship, the MV Pavit, drifted and ran aground undetected on the Juhu-Versova beach in June. If a ghost ship such as the MV Pavit is not spotted, let alone intercepted, it raises troubling questions about the ability to stop smaller vessels being deliberately manoeuvred to evade detection. At the international level, over the past decade the United Nations (UN) system has done a commendable job in establishing international norms to combat terrorism. The UN’s counterterrorism strategy is based on key UN Security Council Resolutions (UNSCR), starting with UNSCR 1373, adopted in 2001, which established the UN’s Counter Terrorism Committee (CTC); the 14 other UN conventions and protocols dealing with terrorism; and the United Nations Global Counter-Terrorism Strategy, adopted unanimously by the General Assembly in September 2006. One indication of the success of the UN system in establishing norms against terrorism is the acceptance of these conventions, resolutions and strategy by the majority of the UN members. As India’s permanent representative to the UN and present chairman of the CTC, Hardeep Puri, noted on “11 September 2001, only two states were signatories to all the [then] 12 UN conventions relating to terrorism. That number has now grown to 111." India has proposed a “zero tolerance" paradigm to combat terrorism. The implementation of these measures has been found wanting partly on account of the lack of capacity of UN agencies and, worryingly, partly on account of some countries’ inclination to support these norms in word, but not in deed. 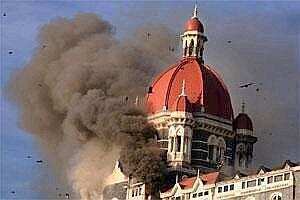 This severe drawback is evident in the case of the 26/11 attacks. While similar attacks in other parts of the world prompted the UNSC to pass resolutions condemning the attacks and even naming the perpetrators, no such resolution was forthcoming in the case of Mumbai. Worse, even as the involvement of Pakistan’s security establishment in the attacks became evident, the UN system was unable and unwilling to call Islamabad to task. This despite the fact that even three years after the dastardly strike, Pakistan has not prosecuted those responsible and was in clear violation of UNSCR 1456 of 20 January 2003, which categorically affirms: “States must bring to justice those who finance, plan, support or commit terrorist acts or provide safe havens, in accordance with international law, in particular on the basis of the principle to extradite or prosecute." While there is an inherent reluctance on the part of the UN counterterrorism architecture to confront state-sponsored or even state-unsponsored terrorism, such dereliction is dangerous. Unless the UN system can adequately respond to the challenge posed by 26/11, the elaborately constructed counterterrorism system will lose its credibility. W.P.S. Sidhu is senior fellow, Center on International Cooperation at New York University.